Take the front half of a wide track quad (such as a racing squad) as your front half... that would solve the entire front end because they already have front control arms and suspension to go with it, as well as a complete braking system and steering package. I would alter the steering ratio a bit so that it wasn't as sensitive and more friendly for road use. Actually I don't think you are allowed to use any part designed for off-road use, someone actually used a quad, tried to get it registered and had to change the front suspension to a VW. Sorry I don't remember where I read this. But I am fairly certain of it. Finally, register and insure it as the motorcycle you used, and VWAHLA!! 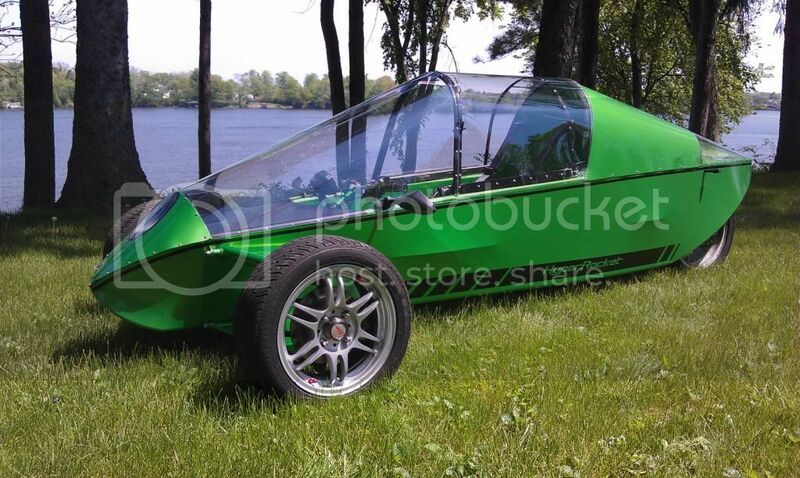 You have a 3 wheeled reverse tadpole design that requires no inspection in most states with dirt cheap insurance and awesome gas mileage! I know i wouldn't mind wearing a helmet still (my state requires it). Using the motorcycle vin is a great idea, as getting a vin for a home built can be difficult. If anyone tries to build a home built be sure to keep COMPLETE records of all purchased parts and materials. I think most states allow no helmet if it is an enclosed cabin. Like anything check with your local licensing department and any where you may want to ride it. I'm curious how to obtain (or make?) a clear polycarbonate canopy/bubble like that? Bought a few of them from Toddscanopies.com Todd is GREAT to work with. Its an amazing ride! Any possibility of make plans available for purchase? I'm honestly not sure why it's considered bad forum etiquette to reply to old threads when there's new information to add. I have zero problem with it. So, thanks for the update! I think it carries over from people who revive years old threads and ask a dumb question or add nothing of value. 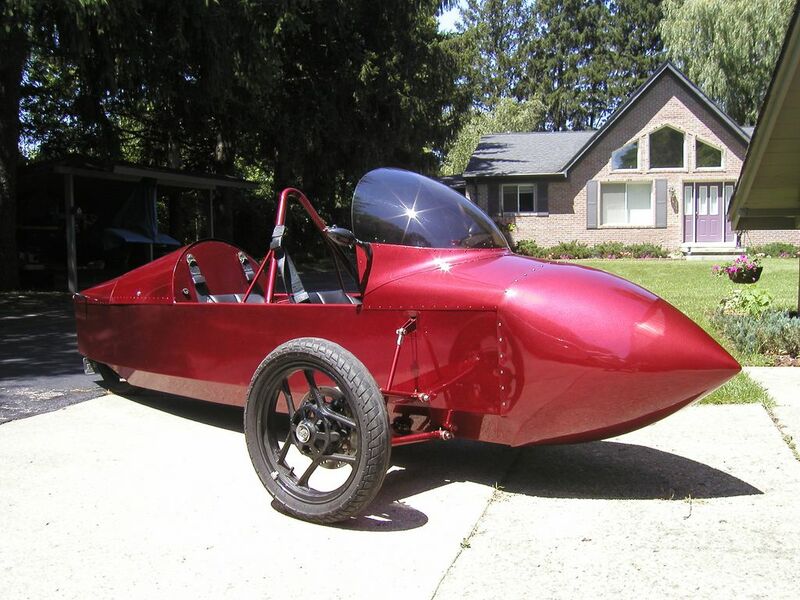 Sort of on the subject of the HyperRocket and partly my planned reverse trike project, do you have any idea how he mounted the motorcycle wheel and brake assembly on the car? I'm not the most educated on the workings of motorcycles, but I would love to mount motorcycle wheels and brakes on my project and use mechanical brakes. Much lighter and simpler than other approaches that are in my price range. I was disappointed to see he didn't keep the aerodynamic profile. but maybe he had to do it that way fit the hybrid drivetrain he was planning on.